Keeping with the demand for features phones in India, Microsoft has now launched the Nokia 216 Dual SIM in the country. 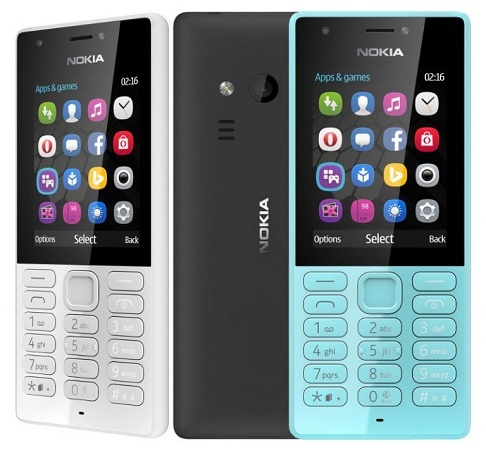 Microsoft has announced the launch of the Nokia 216 Dual SIM feature phone in India. The handset flaunts a polycarbonate body with a built-in torchlight. The device has a 2.8 inch LCD display with resolution of 320 x 240 pixels. The Nokia 216 Dual SIM has a VGA fixed focus camera with LED flash at the back and front. The device sports a 1020 mAh battery which offers 18 hours talk time and up to 19 days standby. The handset is priced at Rs. 2495 and is available in black, grey and blue colour options.